Pay 10% and Nothing Till Possession!!! Call For exclusive Offer !!! Click to estimate final price. Rohan Akriti is a residential development by the Rohan group strategically located in Kanakpura Road, Bangalore South.  The project is designed to provide the buyers utmost privacy. The RERA registered project has a base price of Rs. 66 lakhs. Loaded with amenities like badminton court, gymnasium, indoor games, multipurpose courts, squash courts etc. are sports facilities that the project offers. It also has entertainment and socializing amenities, services like day care and others. It has a magnificent environment through its three distinctly themed gardens. The project offers thoughtfully designed 3BHK apartments. Knakpura road in south Bangalore is one of the most sought after localities. One of Bangalore's hotspots and rapidly developing areas, owing to its excellent connectivity, Kanakpura road has an extremely positive real estate market. The locality offers many options when looking for apartments here. It is well-connected to JP Nagar, Banashankari and Jayanagar, which has further facilitated the development of this place. Bangalore's residential market has gained the attention of both developers and buyers alike with several new residential projects under development. The boom in the city's realty industry has made it one of the most profitable zone and has been witnessing huge inflow of capital thereby leading to an overall development of the city. Improved connectivity, good infrastructure, corporate migration and an influx of global lifestyle has favoured the northern quadrant of the city. What is the location of Rohan Akriti?The location of the project is Kanakpura Road, Bangalore South. 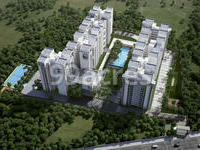 What is the area of apartments in Rohan Akriti? The area of apartments offered in the project ranges from 381.0 sqft to 1031.0 sqft. How much is area of 1bhk in Rohan Akriti? The area of 1BHK units in the project varies from 381.0 sqft to 589.0 sqft. What is the 2 bedroom size in Rohan Akriti? 2 BHK units in the project are available in a size of 615.0 sqft to 879.0 sqft. What is size of 3 bhk in Rohan Akriti? The area of 3 BHK apartments ranges from 973.0 sqft to 1031.0 sqft. How much is price of 1bhk in Rohan Akriti? The project offers 1 BHK units within Rs. 3499578 to Rs. 4500549.
tion. Some of its remarkable developments are Rohan Risha Enclave, Rohan Tapovan, Rohan Madhuban, Rohan Mithila and Rohan Seher; amongst others. Hi Aswathi, if you are interested in the property, you can still proceed but make sure the UDS value and other property details are clearly mentioned in the agreement to avoid any hassle in the future. We have booked a 2bhk in Rohan akriti.They have already did prelaunch. So can they get approval for change in plan? As they told us that there might be some change in carpet area .so is this a litigation? Please help me out.. should I go with the purchase?